With proven experience in implementing the latest SEM strategies, Xeliumtech is helping global clients in increasing ROI with the support of 100+ in-house skilled manpower. 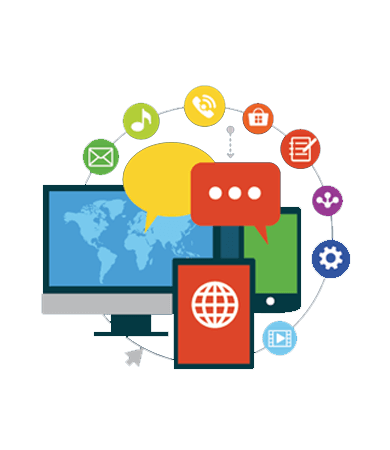 The main components of SEM in which Xeliumtech Solutions leads the industry comprises paid search management, content/display network advertising, landing page optimization, and banner ad design. Xeliumtech is an expertise Social Media Marketing Company who is creating and managing top-performing social media campaigns for varied businesses. We are using all social media networks i.e. Facebook, Twitter, Google Plus, Instagram and many more to help businesses grow and meet goals. We are a professionally managed Promotional Marketing Company. Through our unique Promotional Marketing Services, we attract potential customers and those who left your website or products, we target them by providing personalized and customized suggestions through emails and SMS. We are an adroit Online PR and Reputation Management Company with worldwide presence. We offer the most inclusive, complete and effective strategies to help businesses and individuals to manage their reputation on various platforms.